Opinion What happens when a disabled man leaves the only home he ever knew for 62 years? 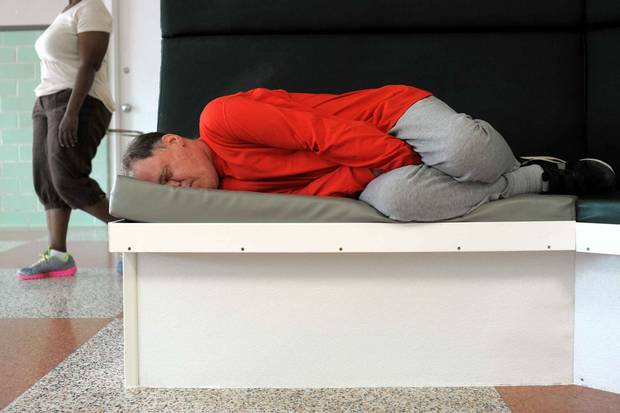 What happens when a disabled man leaves the only home he ever knew for 62 years? 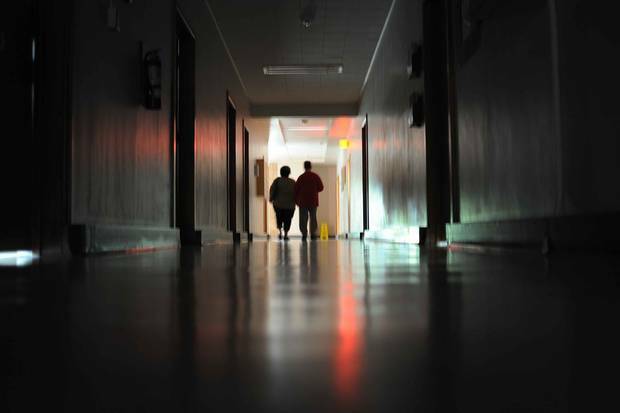 Scott Lister and his sister, Sandra Hamon, walk down the halls of Valley View Centre. 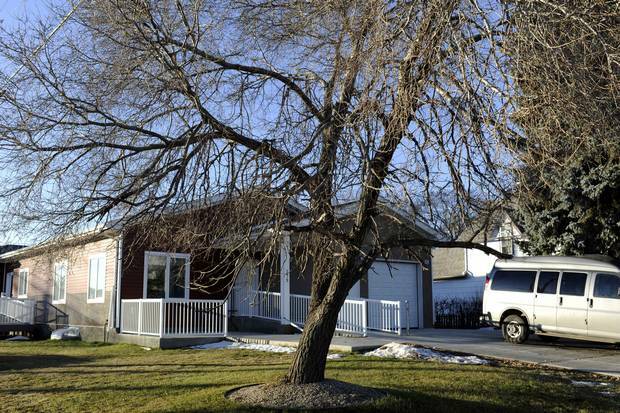 The centre for people with intellectual and physical disabilities is closing for good in late 2019, and Scott, who lived there for 62 years, was one of the last residents to leave it. Mark Taylor is a journalist, photographer and instructor at the University of Regina's School of Journalism. In 2011, when my eldest son, Jack, was three and my youngest was just one week old, Jack was diagnosed with autism. Non-verbal, Jack would harm himself when frustrated and occasionally was aggressive with his brand new baby brother. Like many parents of autistic and special-needs children, I thought often about where Jack would live when my wife and I are gone or unable to care for him. I also couldn't get it out of my mind that, in a different time, my wife and I likely would have been told to institutionalize him. 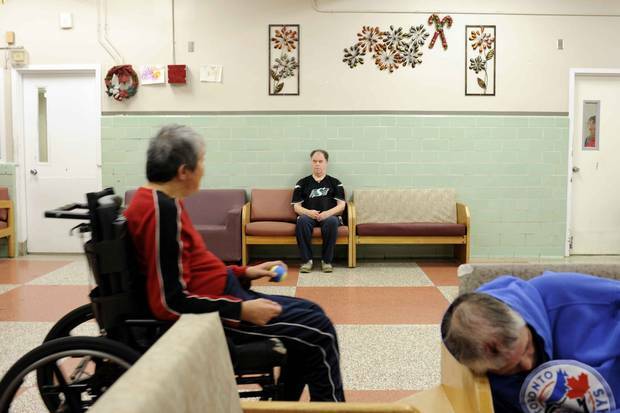 So when the Saskatchewan government announced in 2012 it was closing Valley View Centre, an 800-acre complex south of Moose Jaw once home to 1,100 people with intellectual and physical disabilities, I felt compelled to document its final days. This I was able to do through Sandra Hamon and her brother Scott Lister. 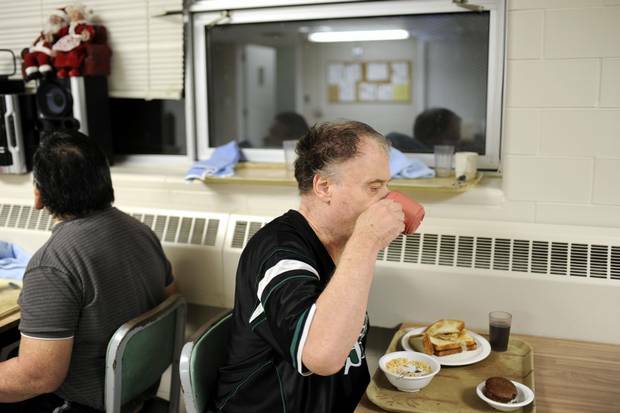 Non-verbal and afflicted with what was then termed "severe mental retardation," Scott was one of the first people to move into Valley View when it opened in 1955. He was seven years old, the same age as Jack when I began this project in 2014. Some believe institutions such as Valley View should have been shuttered long ago. Others, such as Sandra, opposed the plan to move residents into community care homes in the city and close the place down. 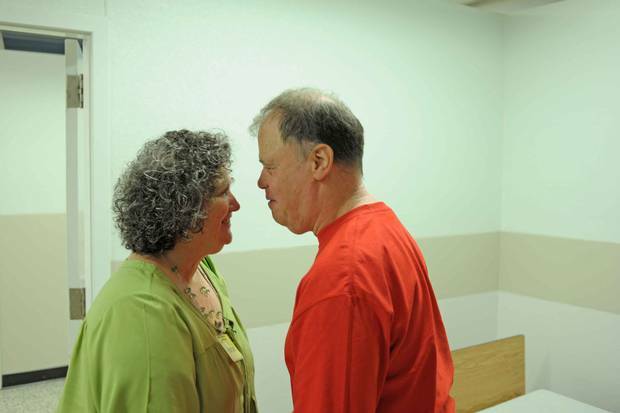 The residents and staff at Valley View are Scott's family – it's the only home he's ever known. That, and Scott is an "elopement risk" with little comprehension of the dangers of traffic. When he sees something he wants – such as cigarette butts, which he's addicted to eating – he makes a beeline straight for it. A report prepared for the Saskatchewan government in 2012 states that when Valley View opened it had a "…patient run kitchen, bakery, laundry, and butcher shop. They pasteurized their own milk. There was also a training department, a shoe shop, a clothing store, a barbershop for the men; a beauty salon for the women, a theatre, and a school." Sandra, who once worked at Valley View, said these programs were making a difference in residents' lives but were cut beginning in the 1980s. The decision to close Valley View brought more staff and resource cutbacks. Sandra decided Valley View, literally a shell of its former self, had nothing to offer Scott. After many meetings and rejections, she finally found him a room in an agency-run Christian care home near downtown Moose Jaw. On Nov. 28, 62 years after he moved in, Scott was one of the last residents to leave Valley View. The final closing date has now been extended to December, 2019, after previous target dates of 2016 and 2018 were not met. It turns out Valley View is better equipped (and cheaper) than community care homes when it comes to meeting the extra-special needs of the last few remaining residents. As for my son, he's now a happy, healthy and talkative 10-year-old Grade 4 student, thanks in large part to pieced-together programming we fought to get or paid for. If these services were easier to access and navigate and available to everyone with special needs, there might be less need for institutions and care homes. In 1955, Scott Lister was one of the first people to move into the Valley View Centre for people with disabilities. He was seven years old at the time. Valley View once had an array of programs to give residents an active life – a shoe store, a barbershop and beauty salon, outdoor sports facilities – but cutbacks in the 1980s scuttled many of these. Shown here are Valley View’s administration building, the remnants of a hockey rink and an abandoned teeter-totter and swing. Scott is non-verbal and considered an ‘elopement risk’ at valley View, with little comprehension of the dangers of traffic and other hazards in the outside world. Scott’s sister, Sandra Hamon, once worked at Valley View. Sandra at first opposed the closing of Valley View, but then concluded it was a shell of its former self and had too little to offer her brother. Scott and Sandra sit at one of many fruitless meetings to arrange a new home. The siblings get in the car for an outing into Moose Jaw, where the two went on a long hunt for new accommodations. Nov. 28, 2017: Scott has breakfast on his last day at Valley View. Scott takes one last look at the Valley View common area. 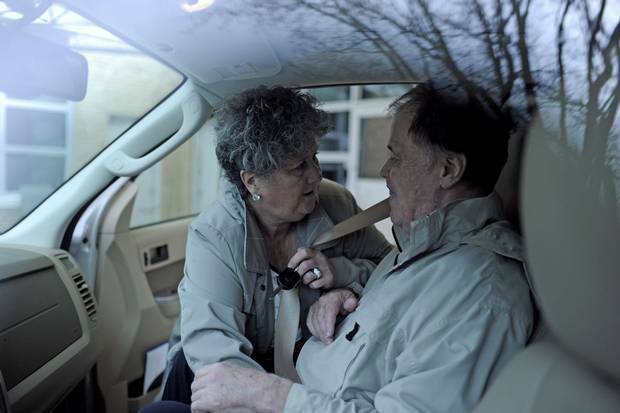 Scott steps out of Valley View and into the van that will take him to Moose Jaw, where his sister found him a room in an agency-run Christian care home. Scott’s new home in Moose Jaw. 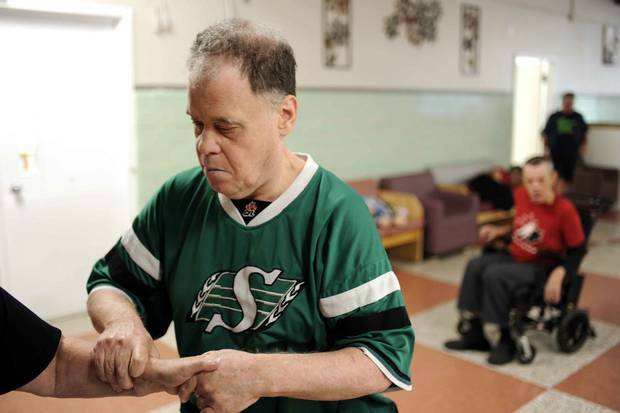 Holding his sister’s hand, Scott lies down in bed at his room in Moose Jaw, his first new home in decades. 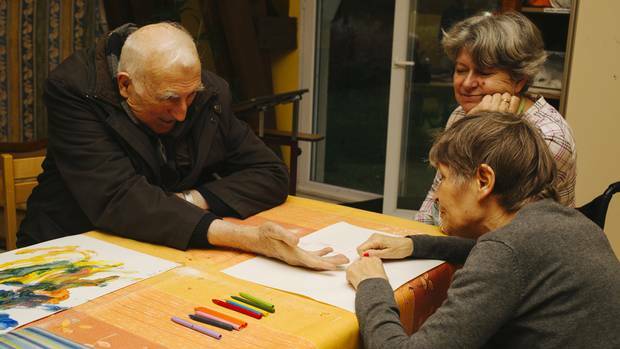 Jean Vanier’s comfort and joy: ‘Find the places of hope’ Jean Vanier created L’Arche – a unique community for mentally disabled adults – to nurture a different kind of life. The Globe's Ian Brown went on a journey to understand how simply admitting our weaknesses can make us strong. 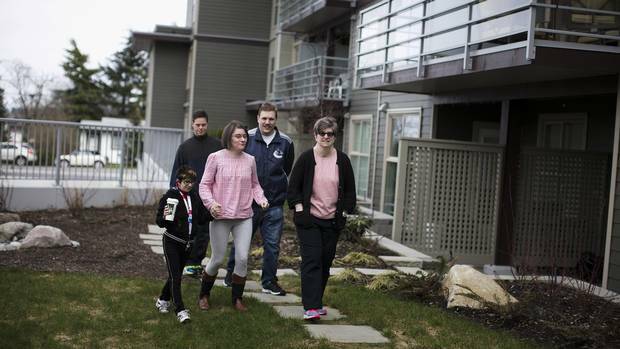 As parents age, finding housing for disabled children becomes daunting Finding accommodations for disabled children is particularly problematic in B.C., where housing costs are so high in many cities, Frances Bula explains. 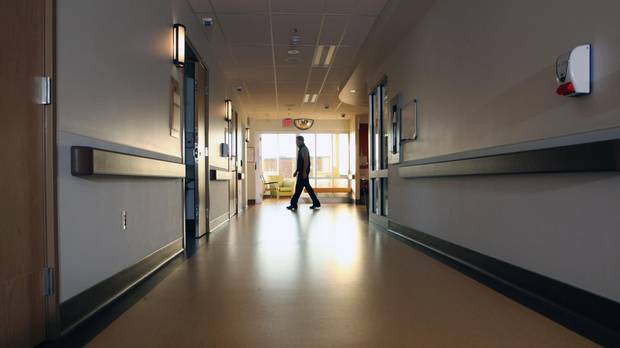 Erika Dyck: We can improve mental-health care by fighting poverty For a growing contingent of ex-patients, families and clients, the solution is not medical – it’s political.